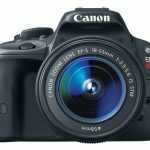 Home / Camera Buying Guide / Best Drones with Camera 2018 Buying Guide: All should know! The 3 best camera drones at the moment These are small-size drones. They are perfect for starting out if you do not want to spend too much money. You may find this selection rather limited if what you are interested in is capturing video! In 2017, a great many civilian drones made their way onto the constantly evolving drone market. A large number of these multi-rotor drones have introduced technological innovations never before seen, namely in the fields of tracking, subject recognition, and obstacle evasion. This makes the purchasing process quite complicated, especially since it is often impossible to test out these products before purchasing them. Please feel free to read the remainder of this guide on the best drones of 2017! These days most leisure drones allow for the use of a camera. This is very appealing to a lot of drone enthusiasts since it makes it possible for them to capture superb shots from innovative angles. You will find the best currently available models in the table below. 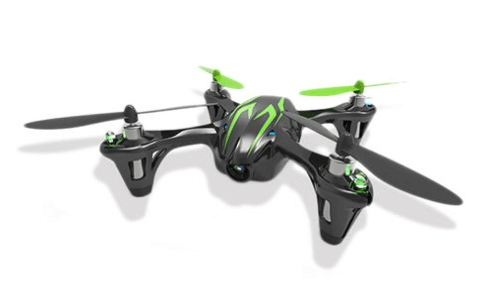 I limited the selection to drones retailing for no more than around 1500 euros. You should be aware that there may be hidden costs to your purchase, however! The quality of these products can be measured in different ways: such as in terms of design/finish, flight performance, quality of the optics, autonomy, innovation, intelligent flight systems, piloting assistance, shooting assistance, after-sales service as well as price and availability of spare parts. Remark: The values in the table are given for illustrative purposes only! Manufacturers are often too optimistic, especially in terms of autonomy and flight range values. Also be sure to verify what is and what is not included in your drone’s packaging before making any purchase in order to avoid bad surprises and hidden costs! Note: I no longer recommend the Solo drone manufactured by 3DR which has decided to remove itself from the civilian drone market. It’s a shame since this drone showed promise and there is now one fewer drone manufacturer on the market! I recently received several messages from people asking me why I don’t promote a wider variety of drones on my site. The answer is simple, first of all, it is hard for me to test out all of the multi-rotor drones that are being released all the time (there really are a lot of drones being introduced and oftentimes there are many different versions of the same drone); secondly, I pride myself on recommending tried and true products. While it is true that DJI and Parrot’s drones are not all perfect and that I am well aware that there are a number of other quality products around, there is no assurance that other manufacturers will offer you a good guarantee or that the company will not fold, leaving you without the possibility of purchasing spare parts or receiving upgrades. See my selection of the best drones for video in 2018! Available in big box stores, specialized stores, and many online stores, these days it is possible to find many affordable drones (called “general public” drones) selling for between 15-20 dollars. Of course, the price will vary in function of the pilot’s needs and some more powerful models with the most advanced technical characteristics, gadgets and flight autonomy can sell for thousands of euros. My drone buyer’s guide – everything there is to know about these flying devices! 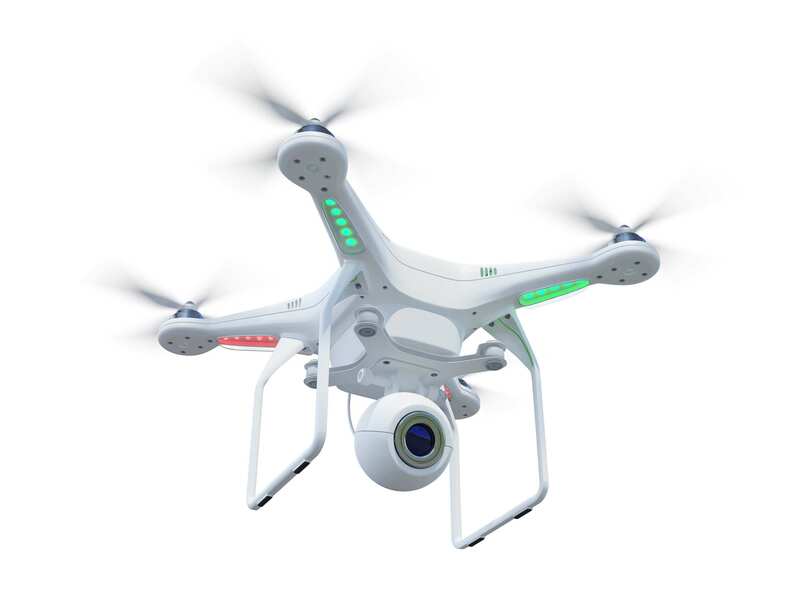 There is a subset of drones commonly called leisure drones or recreational drones. Radio-controlled model enthusiasts prefer “multi-rotor drones” or radio-controlled aircraft (aircraft not piloted by anyone onboard – UAV: Unmanned Aerial Vehicle). We like to call them quadcopters or quads (for 4 motor models), hexacopters (for 6 motor models) and octocopters (for 8 motor models). Becoming increasingly popular for capturing video, civilian “leisure” drones (which should not be confused with the professional drones used in professional photography, cartography or for military applications) have made their way into specialized stores geared towards the young and old alike. 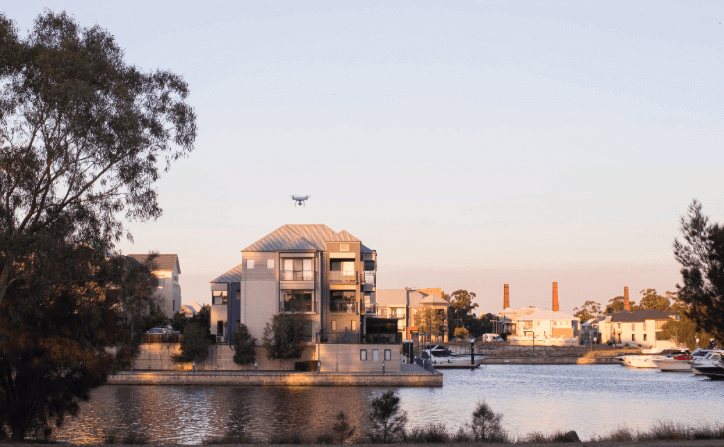 The use of drones has become widespread in the last few years due to several new manufacturers offering quality RTF (Ready To Fly) products which are continually pushing back the limits of drone photography/videography. 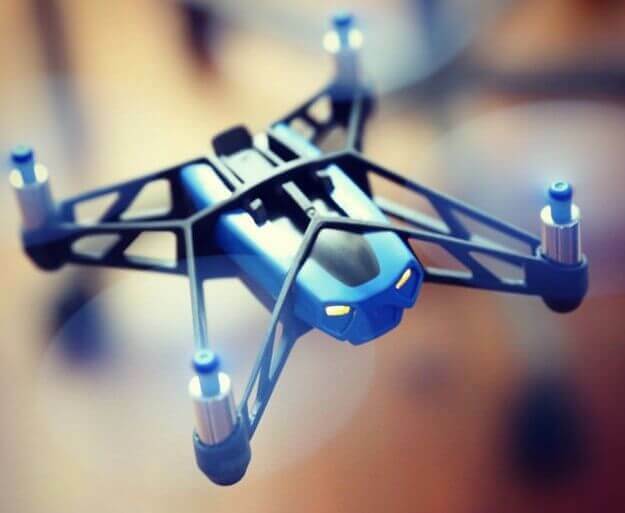 If you would like to take your first steps into the world of drones by purchasing one, it is better to start with a small, inexpensive model in order to get the hang of drone flying. More experienced pilots may be looking for more flight autonomy, better integrated-camera quality or drones with a camera mount or with more sophisticated flight and ground-based control. There really is a drone for everyone in this innovation-driven market. Both civilian and professional multi-rotor drones have basically the same architecture: a chassis with a certain number of arms (three, four…). These arms can be equipped with one or several motors which respond to orders received by remote control from a controller or flight map (which performs real-time analysis). The rotation speed of the propellers is also optimally controlled by this latter type of system! A GPS to detect the drone’s position and to manage its guidance (latitude and longitude). A gyroscope: a 3-axis motion sensor (pitch, roll, yaw). An accelerometer, which as its name suggests, measures the drone’s acceleration. A barometer which measures the changes in atmospheric pressure. A magnetometer which measures the changes in heading. It is always good to take stock and to identify your needs or those of the person for whom you are buying the drone. What drone size should you choose? Your choice of drone size will depend on the size of your wallet. You will need to find a compromise between your budget (which will determine build and image-quality) and your drone’s technical characteristics. What is your budget like? There are many drones available ranging in price from 15 € to more than 1500 €, and you will need to make a choice based on your budget which will often be the deciding factor. Are you a beginner? You are free to buy whatever model of drone you wish, but personally, I would not lend my German-made car to my 15-year-old nephew if you know what I mean! What is your intended use? The choice here is simple; it will depend on what you intend to do with your drone (fly it indoors or outdoors – miniature models being better suited to indoor flight). 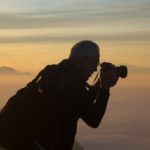 Would you like to take photos/video? What kind of pilot are you? What type of drone operator are you? 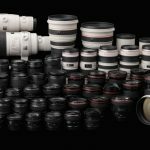 Are you interested in photography? Videography? Are you a racing drone pilot? There is a drone for every type of operator. Different functions imply different technical characteristics and different price points. Do you already own any drone-related equipment? For example, do you own virtual reality or augmented reality goggles, if so, you will first need to learn to properly fly your drone 😉 and secondly, you will need to purchase a suitable radio-controlled drone which can be piloted via the video signal being sent by its onboard camera. 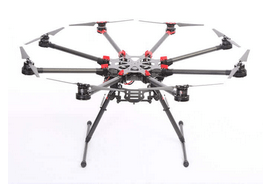 Number of motors Quadcopter, Hexacopter…? Most civilian drones are equipped with four propellers (rotors) for enhanced stability. Professional drones have more motors and therefore more propellers for even greater stability and redundancy, features which can come in handy for photography and videography and can prevent crashes in case of equipment failure. That’s all great, but you may be thinking to yourself that the most important factor is flight experience! I have many hours of experience piloting both civilian and professional drones and I would like to share my experience with you and help you to make your selection from among the best drones of 2017. What drone should you purchase when first starting out? 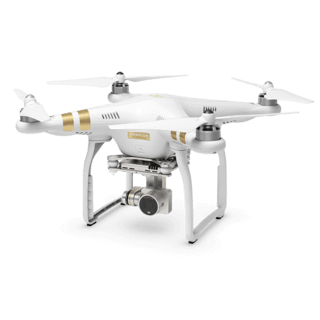 If you are looking to start out and are interested in photo/video, this is my selection of the best drones: the Phantom 3 – Standard or 4K version (Phantom 3 4K if you are interested in 4K video) which both offer better video quality than Parrot’s Bebop 2. What size drone should you buy? It is important to distinguish between small drones and larger, more powerful drones (25 cm and up) in terms of video quality and autonomy! Don’t get me wrong, some of these small drones can be very powerful and can provide a good piloting experience for a very reasonable price. These models are equipped with much more limited mother-boards and functionalities which can sometimes make them difficult to fly; their onboard electronics are not as sophisticated as the electronics used on larger models. People interested in videography should also be aware of the fact that the mini cameras mounted on these “mini-drones” are often of very poor quality and don’t have much range. The largest drones, called “brushless” drones, can get more traction in the air, allowing them to carry much heavier loads. 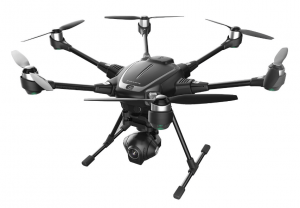 Therefore, they usually have better built-in cameras as well as more autonomy, intelligent flight modes, and superior build-quality. Purchasing a drone with more than 4 motors will give you more freedom in terms of the equipment that you will be able to mount on it. As you can see, there is quite a choice! How can you pilot your drone? 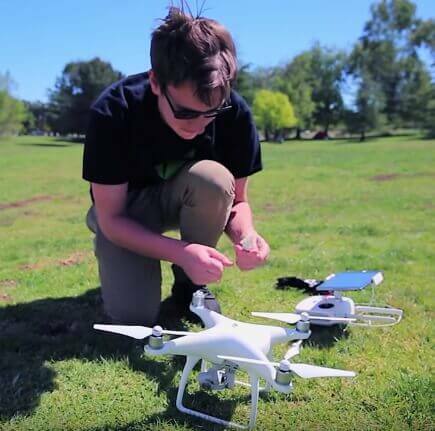 There are a number of ways in which you can pilot and control a remote-controlled drone. The most common way is via a remote control (which will usually be provided with your drone). This type of drone is descended from previous generations of radio-controlled devices and is the most common type of drone on the market. We will not go into details concerning radio frequencies, but just know that smaller radio-controlled drones tend to have a much shorter range than larger models which can have a range of up to several kilometers. The third option – for the most “connected” pilots – is immersion flight via FPV or virtual reality goggles! This type of total immersion control was developed by the French manufacturer Parrot; drone “purists” find this control method somewhat controversial. This third option allows for a greater degree of immersion and has become a viable alternative thanks to the democratization of smartphone use over the last decade. Virtual reality goggles offer incredible possibilities in terms of immersion flight! This control method still involves piloting the drone via remote control, but the PFV goggles will allow you to control the drone’s camera and sometimes even the gimbal’s movements (such as with DJI’s Goggles) for a truly unique flight experience! Detractors of this control method cite its limited range (generally only 100 meters for most models – and only under optimal conditions), its lack of piloting precision (many models have bugs, poor responsiveness, and latency problems) as well as its lack of adaptability to the environment in which the drone is being flown (any kind of obstacle can interfere with the radio signal). This control method is very popular among drone racers, however. Waypoint mode. 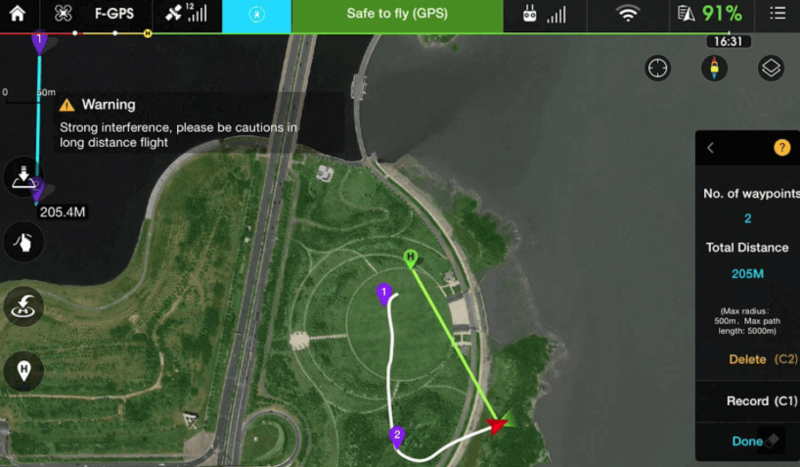 This mode allows you to automate your drone’s flight path by means of GPS waypoints. When using this mode, you will need to input a departure point, arrival point as well as waypoints to define the drone’s trajectory. This mode is only available on the most recent generation of drones and still requires that you pilot your drone via remote control! This mode will enable you to initiate an automatic flight by modulating the drone’s flight speed between the various waypoints. Subject tracking mode. This “follow me” mode is quite new and is only available on the most recent generation of video drones. This mode is very useful for capturing sporting events; it enables a user to be followed around by his/her drone in order to record his/her progress in a race or on a ski slope for example. To use this mode, you will need to equip yourself with a GPS sensor which will allow your multi-rotor drone to follow and film your movements (this sensor is oftentimes integrated into the drone’s controller). Some models even allow for profile tracking and have other advanced functionalities capable of producing professional results. You will need to ensure that your drone’s flight path is free of obstacles if your drone is not equipped with an obstacle evasion function! As far as piloting via smartphone/tablet is concerned, make sure that your device is compatible with the drone you intend to buy! If you have an Apple device, you should be OK. Android devices are another story; DJI, for example, has a lot of compatibility issues with this OS. Compatibility varies a lot from model to model! All currently available drones use Lithium (LIPO) batteries which are very good at holding a charge but are not very impact-resistant. Quite a number of drones are equipped with easily removable batteries in order to allow users to extend the duration of their drone flights by acquiring extra batteries. Extra batteries will allow you to extend the duration of your drone flights. Once you have decided upon the drone you would like to purchase, find out how to properly use, charge and store your batteries. Beware of low-cost batteries available online (they are often too good to be true…). When ordering spare batteries, make sure they have similar technical specifications to those which were provided with your drone. What is considered to be a reasonable duration in terms of flight autonomy? Most small drones use single cell batteries whereas larger drones can use batteries with several cells which provide more autonomy. Small drones generally have a flight duration of between 5-7 minutes. The batteries used by these drones can be recharged quickly and can be purchased in bulk for a good price. Large “civilian” drones usually have a flight autonomy of around 20 minutes. The longer flight duration of these drones will allow you to undertake more complex missions! Pay attention to your batteries’ mAh value. The higher the value, the longer your drone will be able to remain aloft! Do you consider 20 minutes to be too short? You should realize that once your drone is in the air, time will appear to pass much more slowly and 20 minutes will seem like several hours if you are very concentrated on what you are doing. Would you like to be able to fly for 25 minutes or more? If so, you will need to spend a lot more in order to acquire a high-end civilian drone or even a professional drone (although there is a limit to how much autonomy any drone can have…)! Make sure to plan your flight in advance; be aware of all of the steps that you will need to follow so as not to lose any time once you arrive on site! Built-in camera or GoPro camera? If you are mainly interested in taking photos/video with your drone’s built-in camera you should be aware of the fact that the type of drone that you buy will depend on the type of built-in camera you would like to have; it will also have an influence on the type of camera mount you will need to acquire. A GoPro camera. Some drones are based on this #1 selling sports camera such as the 3DR Solo, which, by the way, I no longer recommend…, the Yuneec’s Typhoon G and, of course, GoPro’s Karma drone. A digital photography/video camera with a custom mount. It is a matter of personal preference and you will need to weigh the pros and cons of each of these options. You will need to find the ideal compromise between functionality/settings, weight, photo/video quality, and autonomy. Of course, most drone enthusiasts prefer drones with built-in cameras since they do not imply any additional expenditure and because this type of drone has better flight characteristics. 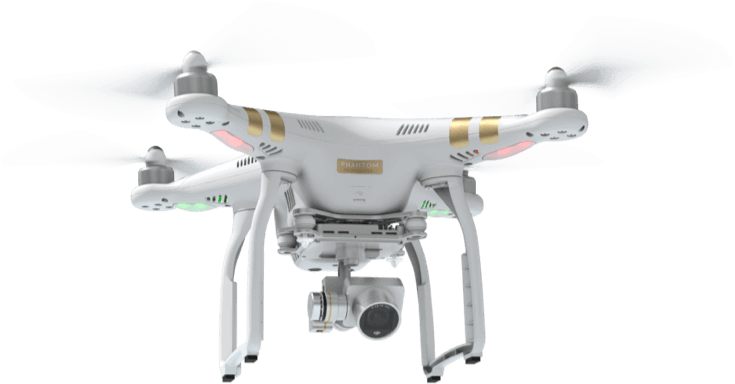 This is all the more true since drone manufacturers are now incorporating high-quality cameras into their products – such as the Phantom 4 Pro and Phantom 4 Advanced which have a 1″ CMOS sensor! Are you mainly interested in recording video? If so, you have the choice between a multi-rotor drone with a built-in video camera (Bebop, Chroma, Typhoon) or a quad with a preconfigured mount for a GoPro camera (Solo 3DR, Typhoon G, Karma…). These built-in cameras are almost as good as GoPro cameras (less deformation) and almost all of these built-in cameras offer 4K, UHD, and 720p definition. Are you interested in photography? You should ensure that you are able to purchase a mount suited to both your drone and camera if you are interested in mounting your own digital camera on your drone! What camera should you choose for your quad? 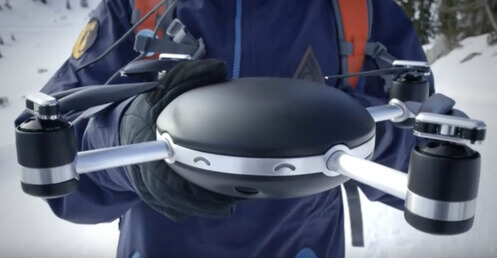 The GoPro will allow you to use a more compact – and therefore more lightweight – radio controlled device but will allow for very little in-flight control over the camera’s settings. Most drone enthusiasts who use GoPro cameras equip them with filters to correct for the most commonly occurring optical defects (mainly distortions). Some drones, such as 3DR’s Solo, offer a greater degree of integration with this type of camera, allowing the pilot to control the camera directly via the quad’s controller. GoPro’s brand new Karma drone also offers maximum connectivity with the camera! Despite GoPro’s dominance of the drone market – which can be explained by the versatility and light weight of these cameras – lately, new products have been entering the marketplace. 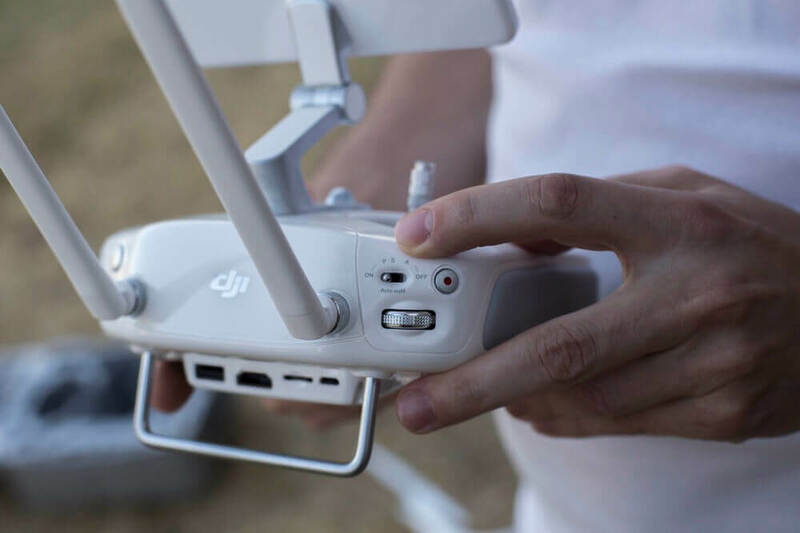 Major manufacturers are also starting to incorporate very good-quality cameras into their products – such as DJI’s Phantom 4 Pro drone. Major drone manufacturers such as Parrot, Horizon Hobby, and DJI offer drones with built-in cameras. 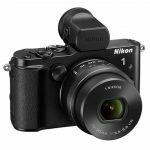 The quality of these cameras is similar to that of GoPro cameras and they have the considerable advantage of not being subject to the fisheye effect. Moreover, some of these cameras are equipped with a 3 axis stabilization system – which is removable on some drones. Whereas GoPro users will need to invest in a stabilizer such as DJI’s Osmo, other drone manufacturers such as Yuneec include a stabilizer with their products. A stabilizer will soon be available for GoPro’s brand new Karma drone. Beware: most drones will not allow you to remove the built-in camera in order to install your own! 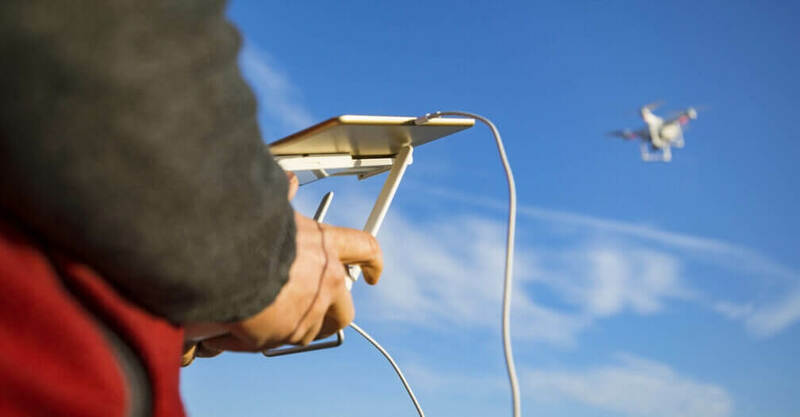 Civilian drone manufacturers are continually introducing innovations and technological improvements to allow for better in-flight control over their drones’ built-in cameras. If you are really serious about recording video, the best thing would be to buy a professional drone! 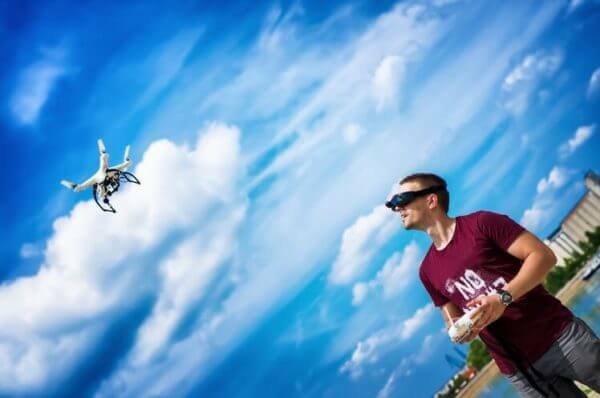 As far as photography is concerned, if you are limited to civilian drones by your budget, you should be able to obtain good results by mounting a reflex camera or certain other types of digital camera on your drone. Personally, I enjoy tweaking my camera mounts for my Phantom 3 drone (my drone of choice for photography and videography) and I use a 35 mm reflex camera. Make sure you are able to purchase a mount for your camera which is equipped with 3 axis stabilization! There are many gimbals available on the market, the most well-known being DJI’s Zenmuse line! By using a reflex camera or another type of digital camera, you will have much more control over your photos/video (ability to adjust ISO settings, aperture opening, for example). This type of camera offers a lot of control but costs a lot more. You will also need to master piloting your drone since crashing your multi-rotor drone could potentially lead to the destruction of your camera! As far as small quad drones are concerned, you should not expect to be able to capture very high-quality images! Most of these drones offer mediocre photo/video quality and do not offer very faithful color rendition – not great for filming landscapes for example! If you are mainly interested in recording video, you would be better off buying a larger drone which would allow you to mount the camera of your choice. What are some alternatives to GoPro cameras? 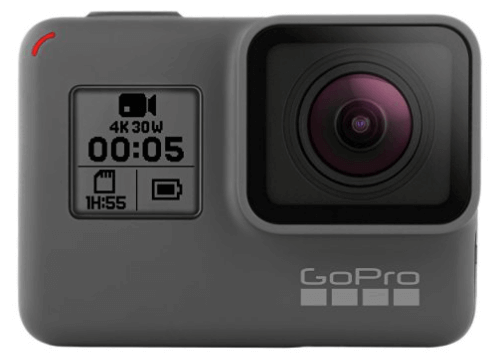 There are a number of alternatives to GoPro cameras – which currently dominate the market (the most modern of which is the GoPro Hero 5) in the event that you can not afford this type of camera. Keychain cameras – such as the Dimika, Mobius, E-Flite, and Boscam – first made their way onto the market several years ago and are becoming quite popular. Where should you buy your drone? I must have been asked this question hundreds of times in the several years that I have been flying drones! As with many high-tech products, you are likely to find the best deals online, on sites that “limit the number of intermediaries”. 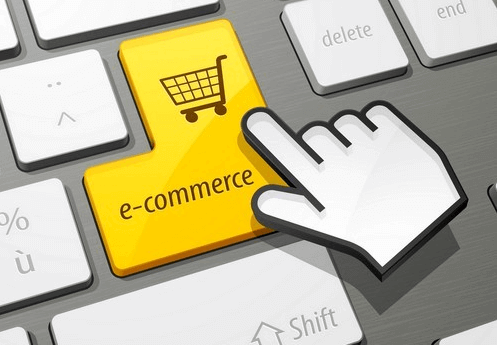 The online option, while enticing, has certain risks associated with it, namely in terms of delivery delays (inexpensive = direct purchase from the manufacturer in China) as well as in terms of import duties and long-term after sales service! This option could be the right one for you if you are interested in buying parts to assemble your own multi-rotor drone, buying accessories for your drone or buying an entry-level drone. In terms of RTF drones (Ready To Fly), if you are looking for the best prices online (which I assume is the reason why you are visiting my site), I recommend that you go through a reputable retailer such as Amazon, Fnac or Price Minister. In so doing, you will be able to take advantage of the guarantees and after-sales service provided by these e-commerce sites as well as their low prices! Drone manufacturers (especially Parrot and DJI) also offer good warranties on products purchased through their sites. What are some recommended accessories for drones? In addition to extra batteries, I highly recommend that you invest in a good battery charger (if one is not supplied with your drone) in order to optimize charging times and battery longevity. If you are fortunate enough to own a “high-end” DJI type drone, you will probably want to invest in a carrying case in order to safely transport it. A case, bag or protective cover can be very useful for transporting your drone as well as any additional equipment and tools you may need to repair your drone in case of emergencies. You should also not forget to purchase additional SD storage cards or cards with higher storage capacity if you intend to prolong your flights with extra batteries! If you are interested in customizing your drone, you will find many LEDs and stickers online or in specialized shops which will allow you to give your bird a more personal touch! We are using the word “crash” in this article to describe a wide variety of situations. Personally, I must have crashed 4 of my drones in my 2 years of intensive drone piloting. It is essential to buy a quality product which comes with a good warranty, meaning that you should buy a drone from a reputable manufacturer. This is the reason why most internet sites end up testing and recommending (more or less) the same tried and true products. Beware of inexpensive drones with dubious build-quality from unknown manufacturers. Also, beware of Chinese imitation products; always make sure you know the exact origin of the drone you are buying. This is the reason why I recommend that you buy your drone directly from the manufacturer’s website or from a reputable e-commerce platform such as Amazon which offers reliable guarantees and after-sales service. Keep in mind that crashes will have different repercussions depending on your particular drone, the environment in which you are flying it and the type of technical difficulties you may encounter during flight. A drone’s propellers and landing gear are very easy to break (by flying too close to a tree for example or by landing a little too fast) and should, therefore, be among the consumable parts that you purchase right away. Some manufacturers offer (for a price) supplemental insurance which could be interesting for more advanced users who are looking for a more comprehensive warranty. Are you just starting out? Begin with a small drone in order to familiarize yourself with the fundamentals or drone piloting; also, choose a model with GPS guidance features. Buy spare propellers right away, they are quite inexpensive and can come in handy in case of a crash. Would you like to extend your flying time? (believe me, 15-20 minutes will seem like a long time when you are focused on piloting your drone). If so, consider purchasing extra batteries! Give preference to manufacturers’ sites (if you are buying your drone online) or to reputable e-commerce sites such as Amazon which offer guarantees. Always contact your vendor in case of problems before attempting to dismantle your drone since doing so will void the warranty. Always follow a pre-flight checklist so as not to forget anything! RTF (Ready To Fly): a drone which is ready to fly “out of the box” and which does not require any assembly. ARF (Almost Ready to Fly): a drone which is almost ready to fly, often supplied without a controller or batteries. 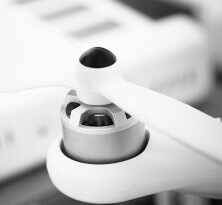 CW or CCW (Clock Wise or Counter Clock Wise): your drone’s propellers should be installed by screwing them in clockwise (CW) or counter-clockwise (CCW). FPV (First Person View): piloting a drone from a first-person perspective, that is to say via the signal being sent from the drone’s onboard camera using augmented reality goggles. Mode 1, Mode 2: in mode 1, the drone is controlled via a joystick on the right-hand side whereas, in mode 2, the joystick is on the left-hand side. “Higher-end” models allow you the possibility of using either mode. IOC: Intelligent Orientation Control, the function which helps you pilot your drone whenever the controls are reversed. Gimbal: a support which allows for the precise rotation of an object along a given axis. 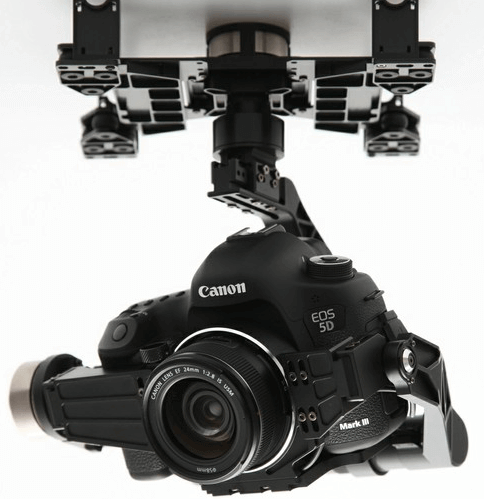 Most drones nowadays have a stabilized gimbal which allows for rotation along 3 axes. Lipo (Lithium Polymer): the type of battery used by most drones. Very nice post! you had put everything in here what I want to know as a newbie in operating a drone. Thank you for these helpful information! Thanks for that useful information and tips. I can apply that in the near future. 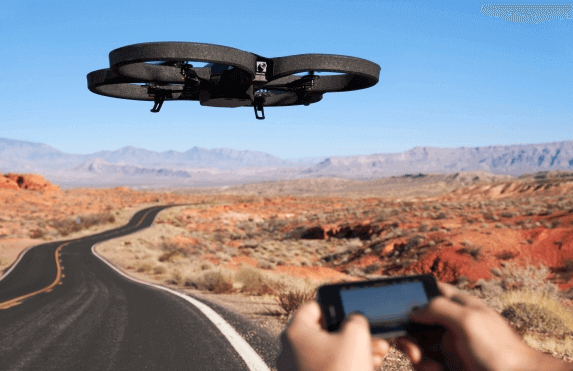 Are there GPS tracking devices for drones?